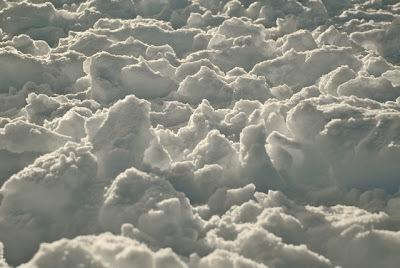 SNOW, snow snow, snow, SNOW!!! I've never seen so much of it all at once - this was my and the boys' first real experience of the white stuff as we joined with half of TCS on a school ski-trip. 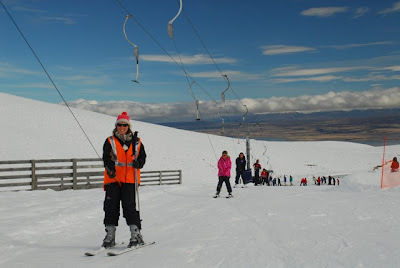 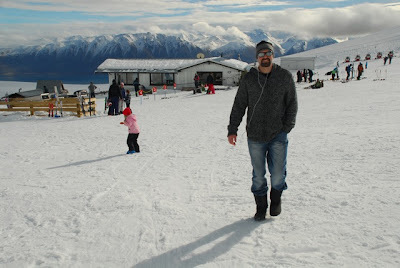 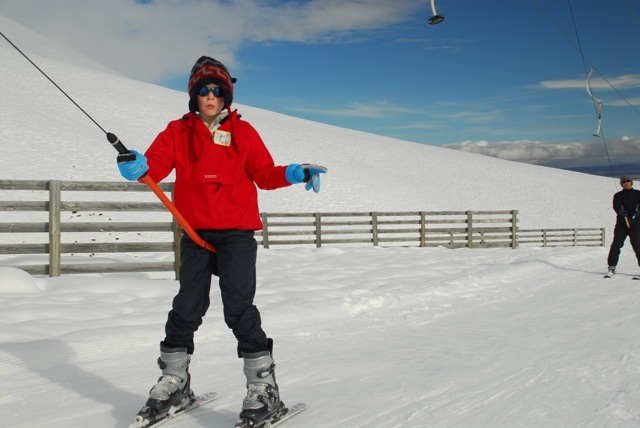 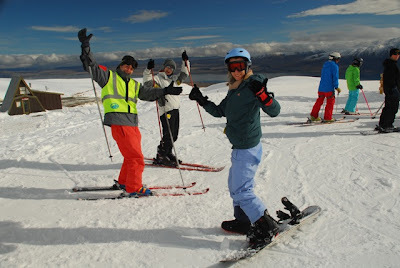 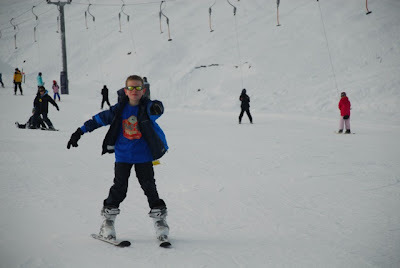 Nick was able to join us for the day in Roundhill (Tekapo) too although he conquered the slopes on a snowboard - brave, but he managed superbly as his balancing skills were honed on a skateboard. I joined an adult beginner class in flopping around clumsily on skis for the first time; Aaron found his place with the beginner kids but Caleb, who didn't realise that classes were mandatory and available, just took himself off and started skiing with absolutely no instruction, surprising us by being a whiz at it! ...and down again. 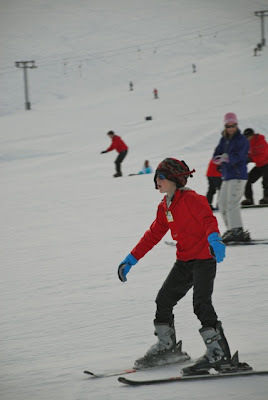 And thus the day was spent for the boys, being towed up and whooshing down the beginner slope. 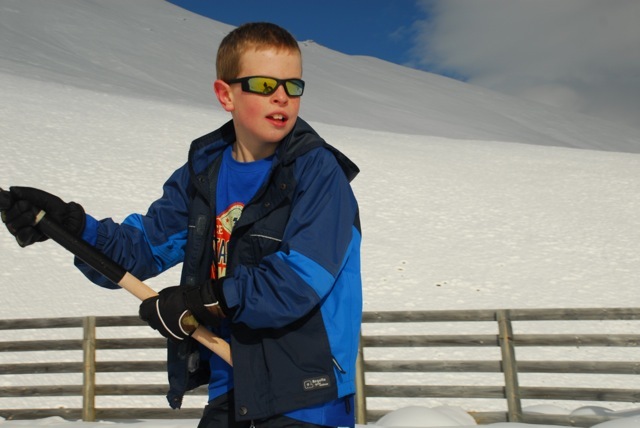 Aaron needed a little encouraging and competition from his brother to gain confidence but soon he was managing superbly too. 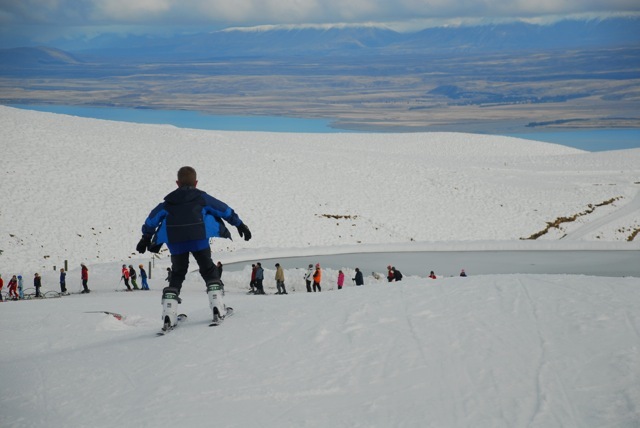 Such spectacular scenery to enjoy on the way down too - Lake Tekapo looking lovely as usual! 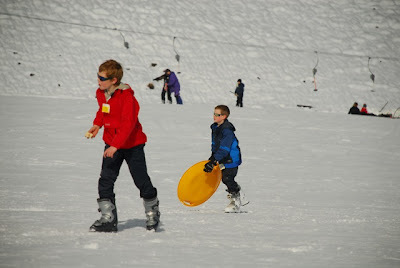 Aaron also found this orange thing to slide on but I think the skiing was more fun for them. 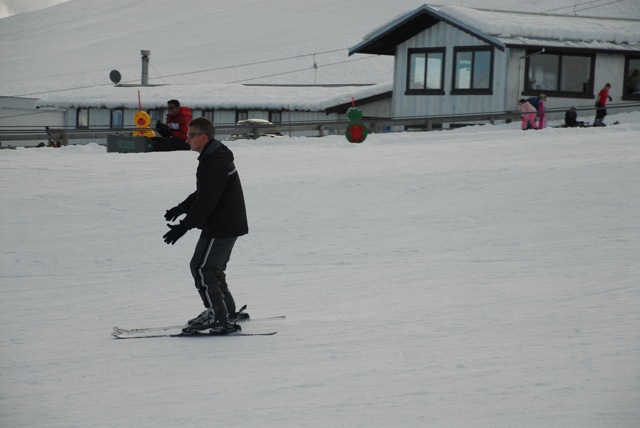 ...while Mr Frank and Mrs Ross and Mrs Manson took to the intermediate slopes with some serious ability! 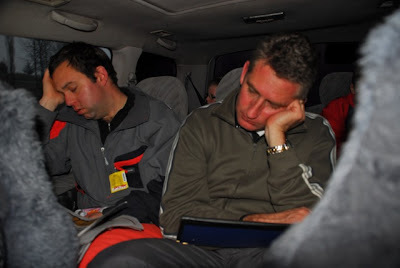 And finally, two hours back home...it was just too much for some of us! We call "the orange thing" a saucer here in the U.S. 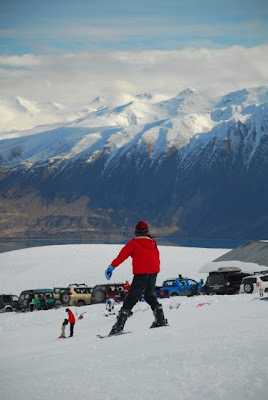 When I was a kid they were aluminum and got dented and banged up as soon as you started using them. They were FAST but you had very little control of where you were going. Onward (and upward), Christian Soldiers!